Just because you don’t see them doesn’t mean they aren’t there. We get it – motorcycles can be hard to see. That’s why it’s so important for motorists to take extra caution and understand how motorcycles drive differently than cars. By knowing the facts on how motorcycles operate and what the risks are, you can better anticipate and respond to riders. Over half of all fatal motorcycle crashes involve another vehicle. Drivers’ failure to detect motorcycles – particularly while turning from side streets and at intersections – is the predominating cause of crashes. A large majority of crashes happen in broad daylight and on short trips at speeds less than 30 miles per hour. With a few additional precautions from motorists, many of these fatal crashes could be avoided. Bikes can hide in blind spots and may move around within a lane, so check and check again before switching lanes. Always use your blinker. Motorcycles often slow by downshifting, which doesn’t illuminate a brake light. Leave extra following distance for stopping. Because they’re smaller, motorcycles can appear farther away than they actually are. Take extra care at intersections, knowing the rider is probably closer than they look. Remember that riders are more exposed than drivers. A crash that might cause minor injuries to a driver can end a rider’s life. Want to teach your kids a fun way to watch for motorcycles? 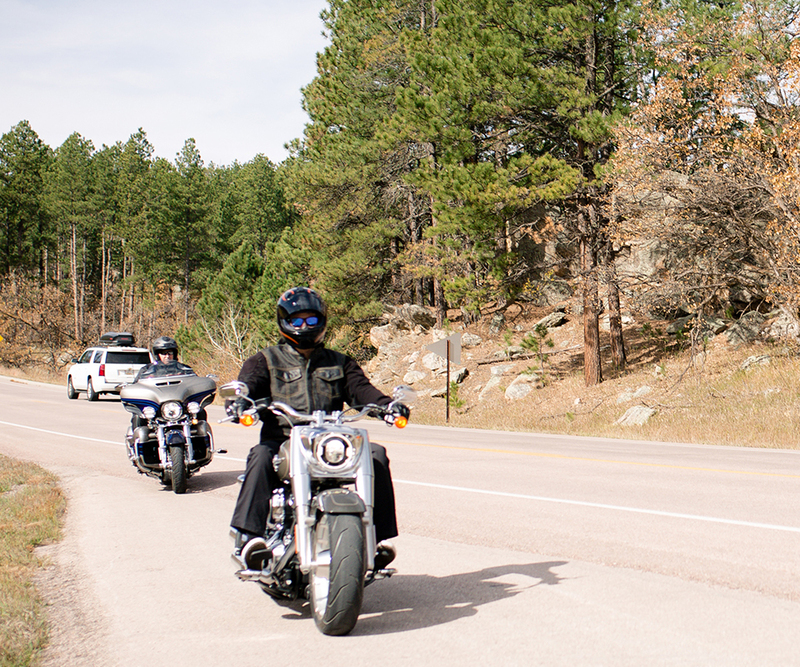 Download our Biker Bingo sheet to spot riders on the road – it’s especially fun on trips.